National Walking Day is just two weeks away! Walking is one of the safest, least expensive, & most sustainable forms of exercise. Join the movement on April 5th and pledge your steps today! 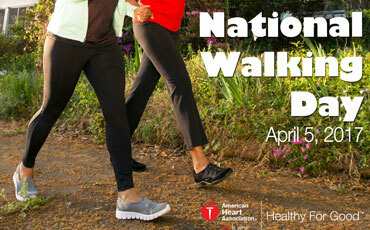 Will you be participating in #NationalWalkingDay on April 5th?